Export Portal is a global social hub for Ethiopian exporters and importers to connect with global markets. Building your pages on Export Portal gives you an excellent opportunity to promote your business on a global scale and find new markets for your products over today's competitive global business environment. The directory of Ethiopian Exporting Companies allows you to search for the famous coffee brands of Ethiopia, High Quality Ethiopian Gold Jewelry Products, Ethiopian Leather Products, Luxury Leather-made products, Ethiopian Pulses & Oil seeds, Ethiopian Flowers and many other popular goods made in Ethiopia. 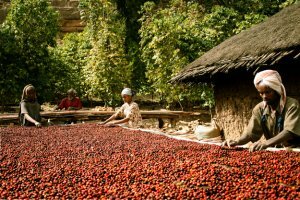 Coffee is undoubtedly one of the most popular export commodity in Ethiopia. In 2007, the country even signed an export partnership deal with Starbucks, the world's largest coffeehouse chain. Not surprisingly, the Ethiopian coffee has been ranked as the best in the world by an international group of coffee connoisseurs. It is a top export for the country. But at home it is considered to be a source of pride. Ethiopia main exports are gold, coffee, live animals, oilseeds, flowers and khat. Ethiopia main export partners are Switzerland, Somalia, China, Sudan and Saudi Arabia. Join Export Portal today, to source a fabulous collection of products made in Ethiopia. Export Portal is the wold's leading export and import portal, dedicated to promoting trusted trade across the globe. If you are an importer from Ethiopia looking for importing goods from abroad, Export Portal is the right choice for you. Check and browse both company and product pages in over 50 product and motor categories to start importing today. With regard to Ethiopian imports, the country imports a range of products: from heavy machinery and steel to chewing gum. A large number of Ethiopian companies are engaged in import activities. Despite the fact, that a number of manufacturing industries will provide substitutes for some products, the country will probably continue to import most of the items it is importing today. Being involved in the import trade in Ethiopia may be a good opportunity for a domestic business; a foreign exporter can also benefit from the growing import to the country in question and sell its goods to Ethiopian Importers. Construction machinery and vehicles, chemical products, steel and cement are the main products that are imported to Ethiopia in huge quantities. Ethiopia main imports are foodstuffs, textile, machinery and fuel. Ethiopia main trading partners are China, Saudi Arabia, United States, Russia and India. Whether you are selling or buying, our online marketplace platform enables international companies to grow their business, facilitating safe trade and trusted business relationships. 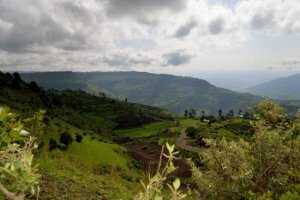 Ethiopia is a landlocked country situated in the Horn of Africa. It is bordered by Eritrea, Djibouti, Somalia, Sudan and Kenya. Ethiopia is one of the founding members of the UN, the Group of 24, the Non-Aligned Movement, the Common Market for Eastern and Southern Africa (COMESA) and the African Union. A businessperson who wants to engage in import trade in Ethiopia must be registered with the Ministry of Trade, which regulates imports, and obtain a trading license. Obtaining a trading license is easy and takes a much lesser time than it used to some years ago. Except for items which are socially and morally harmful, no import ban or quantitative import restrictions exist. However, some imports must meet the standards of the previous Quality and Standards Authority of Ethiopia (QSAE) who split into four entities. Now the regulatory body is named as Ethiopian Standards Agency. Medicines and medical supplies must be registered with the Drug Administration and Control Authority (DACA) of Ethiopia. According to Regulations No. 270/2012 or 270/2005 EC ,export trade of raw coffee, chat, oil seeds, pulses, hides and skins bought from the market and live sheep, goats and cattle not raised or fattened by the investor is exclusively reserved for domestic investors. Businesses that wish to export from Ethiopia should know the export procedures needed to obtain export permit by commercial banks; should prepare Application for Quality Testing and Certification to obtain Export Authorization Certificate from the Quality and Standards Authority of Ethiopia; should fill the Customs declaration. Undertaking letter of the customer that consignment will be settled within a maximum of 90 days from date of the Foreign Exchange Permit for Cash Against Document (CAD) mode of payment and Authenticated message of L/C opened for Letter Credit mode of Payment.